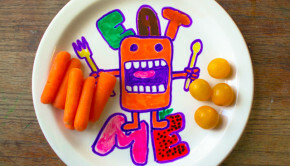 I LOVE fan-made arts and crafts, as you well know if you’ve read this blog for more than, like, a second. 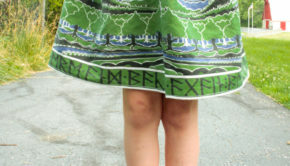 Was it the Tolkien book cover skirt that I made my kid that tipped you off? Or the time that I wallpapered my hallway in comic books? Or the way that I will not stop telling you, often mid-tutorial, that even J.K. Rowling, herself, said that Harry and Hermione were meant to be together? There! I just told you again! 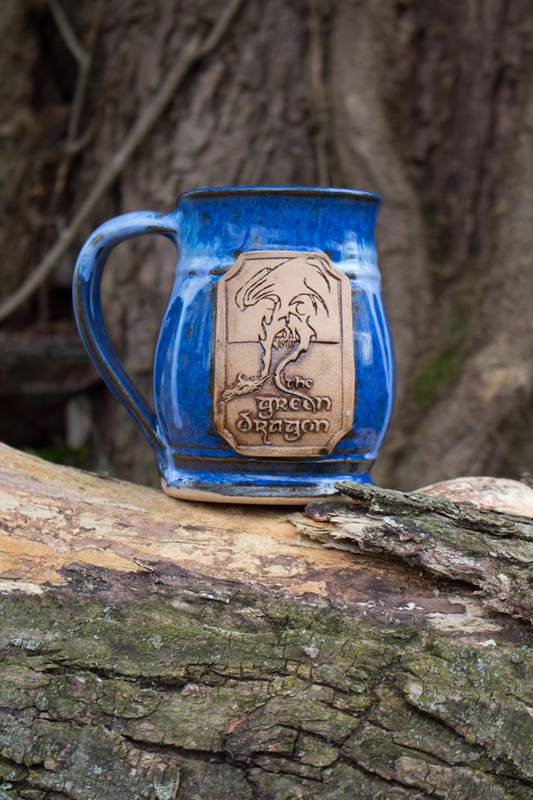 I’m happy to buy something produced for the mass market if I really, really like it (I have The Hobbit and now The Lord of the Rings trilogy to me and our daughters at bedtimes, but really for myself, I bought a Green Dragon Inn mug from Functional Mud, also on etsy. 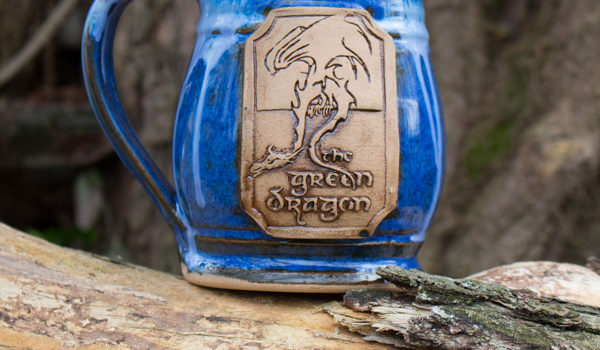 Anyway… Matt’s Green Dragon mug is just what you’d want it to be: sturdy and rustic, with the Green Dragon medallion on the front. It looks exactly as if it came from the Green Dragon Inn, itself, which is exactly what I wanted. 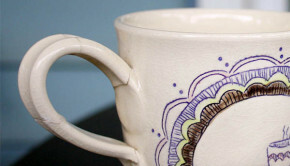 It was probably hand-thrown by the innkeeper’s niece, who’s apprenticing to be a potter. Okay, it was actually thrown by this guy, who knows just as much about Middle Earth as you’d hope he would. And yes, I am probably going back for the Prancing Pony mug. And if anyone wants to buy me the mug with my name on it in Futhark, well, Mother’s Day is coming up! Julie Finn I'm a writer, crafter, Zombie Preparedness Planner, and homeschooling momma of two kids who will hopefully someday transition into using their genius for good, not the evil machinations and mess-making in which they currently indulge. I'm interested in recycling and nature crafts, food security, STEM education, and the DIY lifestyle, however it's manifested--making myself some underwear out of T-shirts? Done it. Teaching myself guitar? Doing it right now. Visit my blog Craft Knife for a peek at our very weird handmade homeschool life; my etsy shop Pumpkin+Bear for a truly odd number of rainbow-themed beeswax pretties; and my Google + for links to articles about poverty, educational politics, and this famous cat who lives in my neighborhood.